I love seeing animals in the wild. Over time I’ve been lucky enough to spot most of the big North American mammals: grizzly bears, black bears, moose, wolves, bison, elk, and bobcats, among others. But I’d never seen a mountain lion or a polar bear. Mountain lions live in areas I regularly visit, so maybe I’ll run across one at some point (hopefully from a safe distance). But polar bears are an entirely different matter. Without making a specific effort, I realized, there’s basically no chance I’ll see one in the wild. And I really wanted to see one. So I started thinking about a trip to Churchill, Canada. 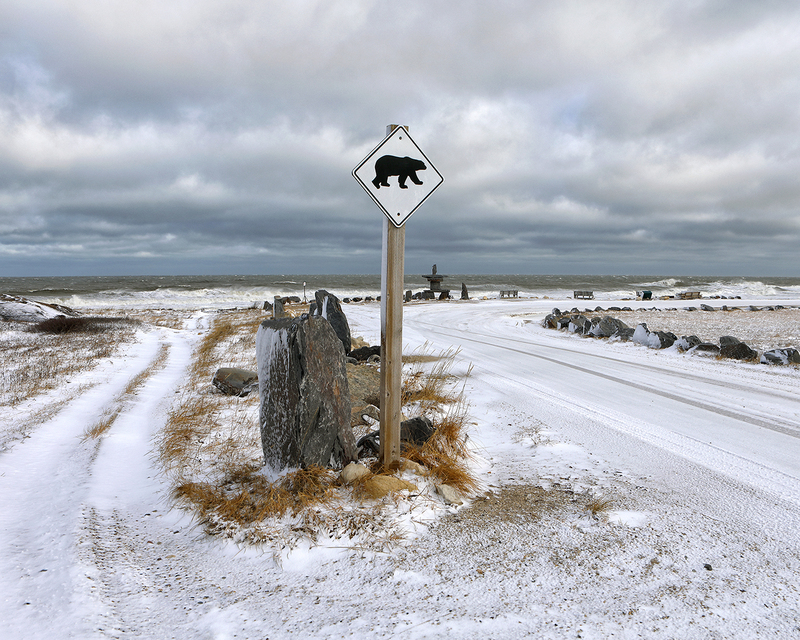 Churchill, a tiny town on the shore of Hudson Bay, bills itself as “The Polar Bear Capital of the World.” In late October polar bears begin gathering near Churchill to wait for Hudson Bay to freeze over. 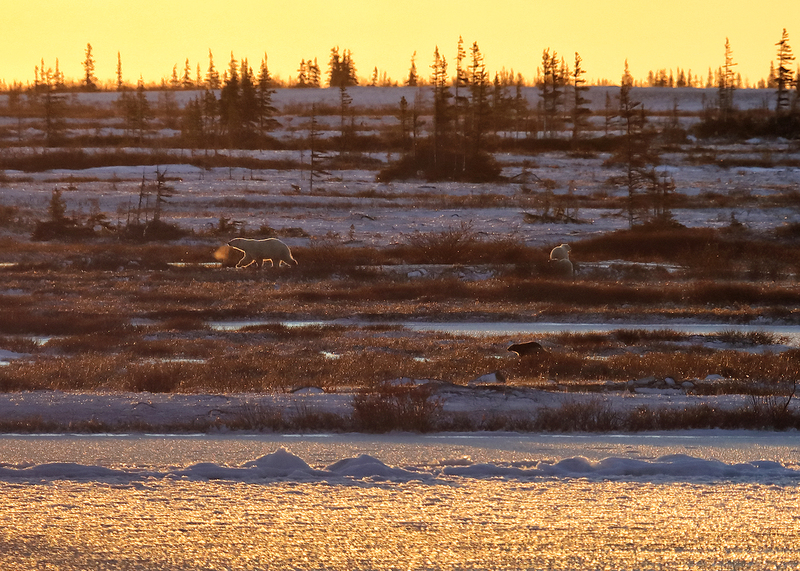 Once the bay freezes, they head out on the ice to spend the winter hunting seals. 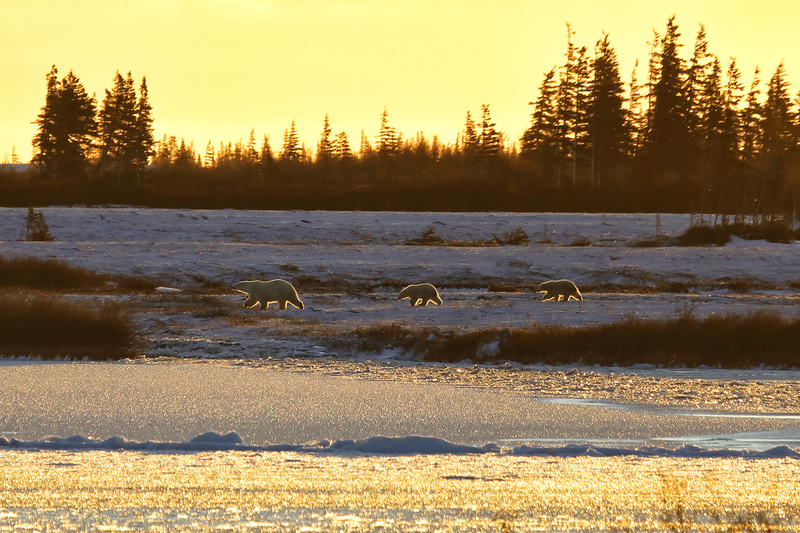 The bears tend to congregate near Churchill because several rivers empty into the bay in that area, and fresh water freezes faster than salt water. Marie, thankfully, was excited about the idea of a Churchill trip too. She dislikes cold weather even more than I do, but a little shivering seemed like a small price to pay to for a chance to see such incredible animals. And we thought we’d better hurry. If global warming continues to shorten the time polar bears can spend on the sea ice, it could decimate their population. 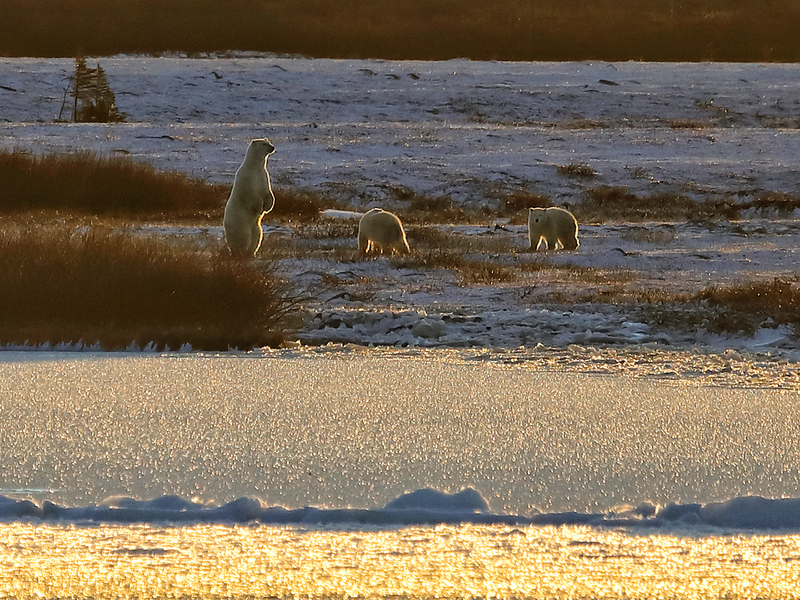 Polar bear “season” in Churchill only lasts a few weeks. 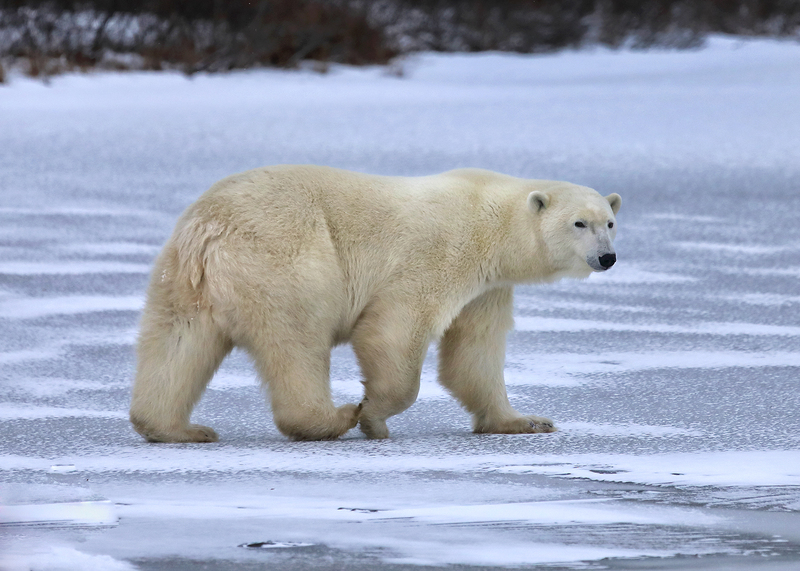 The bears generally don’t start showing up until late October, and as soon as the bay freezes – which is usually in mid-November – they head out on the ice. With such a limited window, hotels, flights, and bear-spotting outings fill up fast. We had to book our trip almost a year in advance. Expensive package tours were easy to find, but arranging everything separately took some effort. Our first priority was to reserve two consecutive days on a tundra buggy. 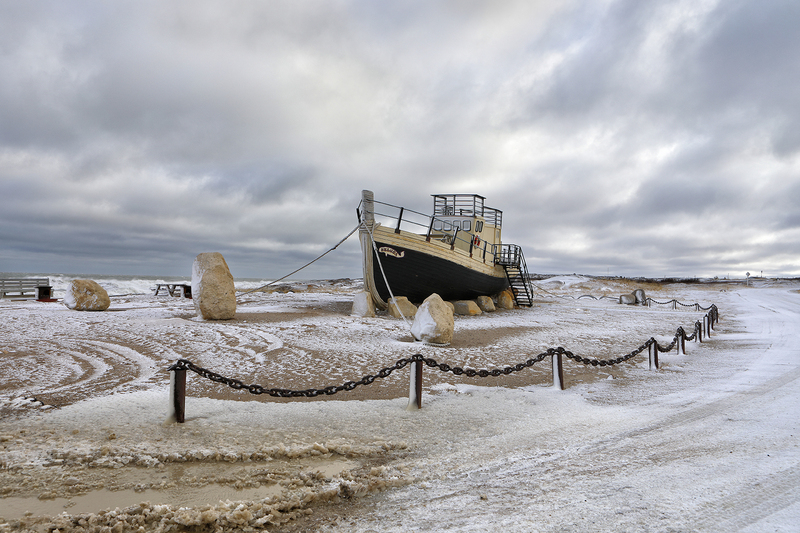 The terrain around Churchill is pretty rough, so a handful of tour companies have constructed specialized vehicles capable of taking large groups of people to otherwise-inaccessible places. 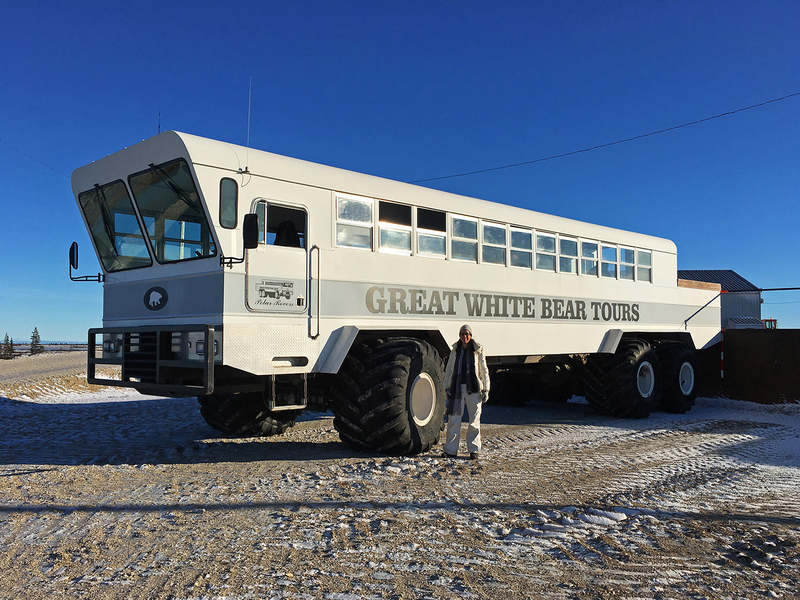 The tour company we chose, Great White Bear, built their tundra buggies by adding six massive wheels (each one over five feet tall and three feet wide) to the chassis of an old fire engine. The buggies (or polar rovers) aren’t fast, but they hold about 30 people comfortably, they have an open viewing area in the back, and they can go just about anywhere. 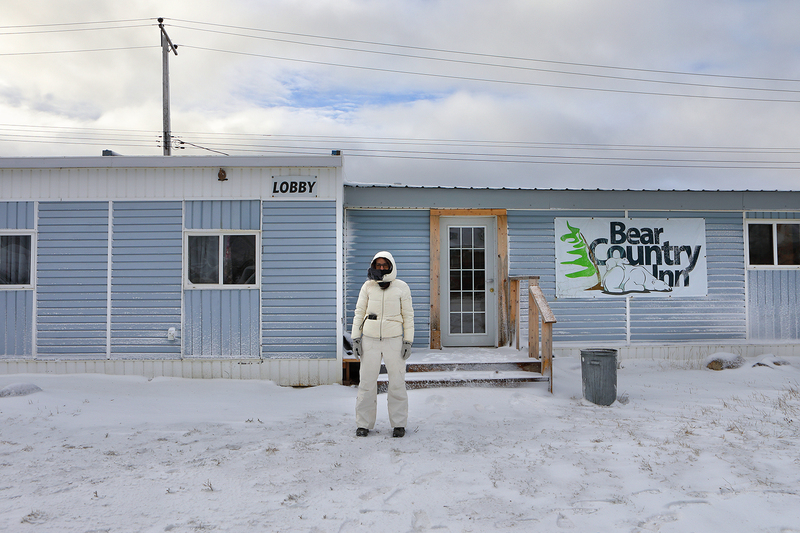 Next we found a room at Bear Country Inn, one of Churchill’s modest downtown hotels, and Marie worked out our flights, with stops in Calgary and Winnipeg before finally reaching Churchill. It would be a short, expensive trip. We had a brief scare when we checked in for our flight from Winnipeg to Churchill and heard that high winds might ground the plane, which could have thrown a real wrench into our plans. But the pilot decided to fly and we arrived in Churchill on a cold, blustery morning. 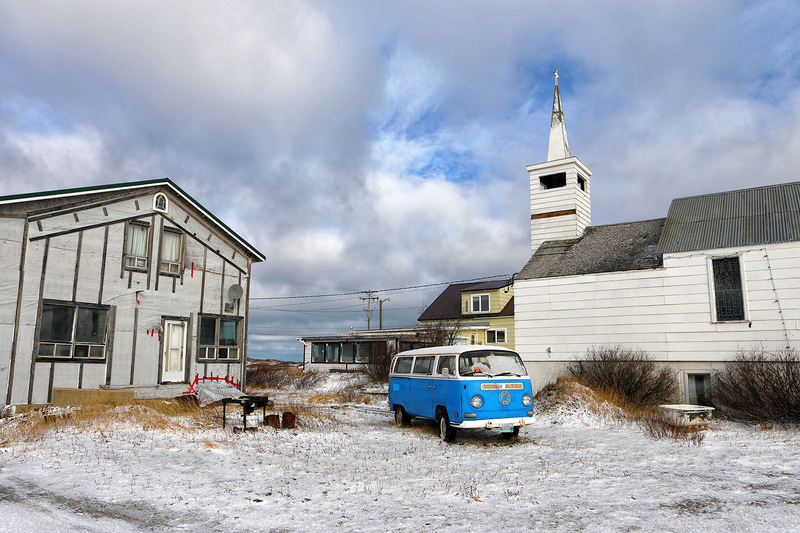 Churchill is a tiny town, and that afternoon I braved the icy wind for a short sightseeing walk. 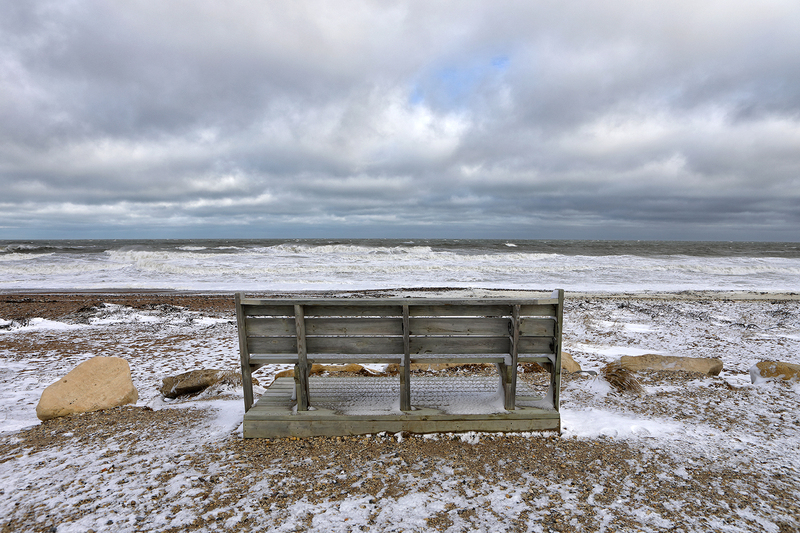 I only made it to a small beach overlooking Hudson Bay before hightailing it back to our hotel to defrost. I was worried we wouldn’t even see a polar bear. It was still early in the season. People in town said there were definitely some bears around, but not many. 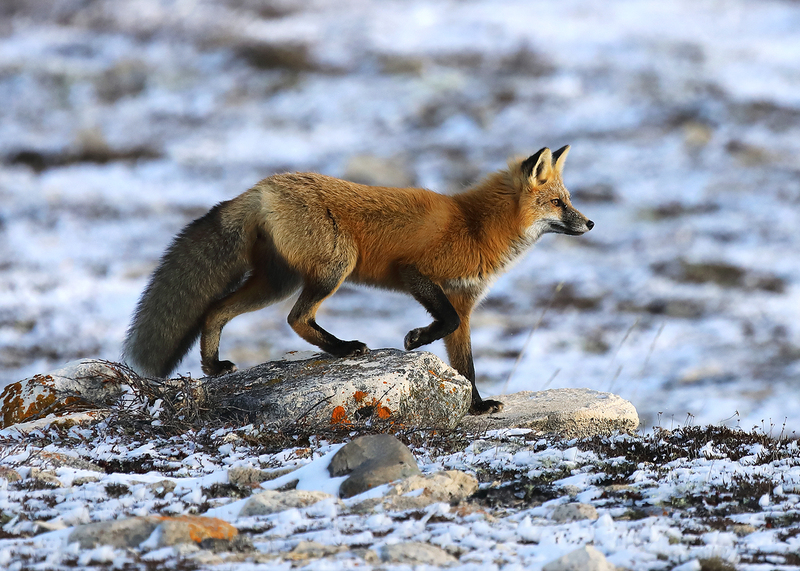 The wolverine was no more than a small black dot in the distance, running parallel to the polar bears. We couldn’t tell if it was chasing the bears or not, but something was going on. 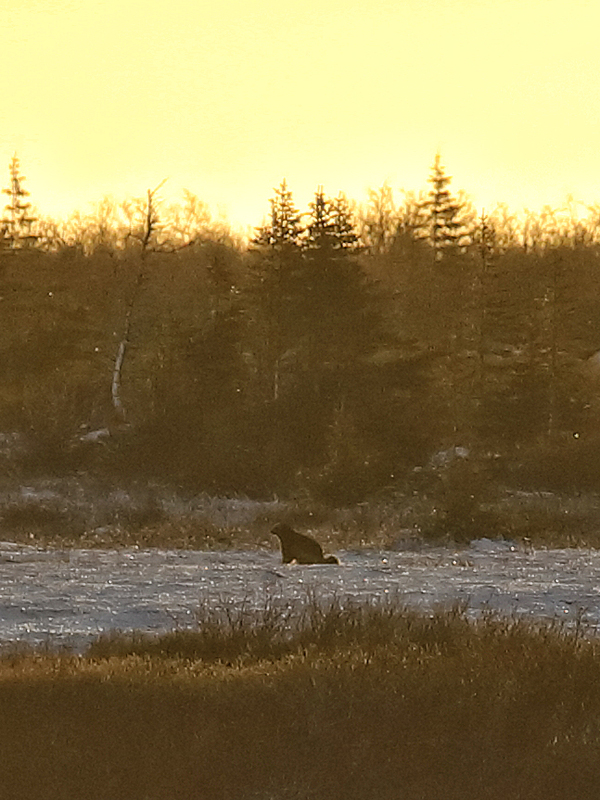 What a start to the day – in a single moment we’d not only spotted polar bears but also a wolverine, both firsts for me! The bears, unfortunately, moved away from us. Tundra buggies are restricted to designated paths, with the idea of limiting environmental damage, and we couldn’t get near enough for a good look. This frustrated both the vocal family as well as two women from Los Angeles, who in shrill voices kept asking why we couldn’t drive right up to the bears. I wouldn’t last long as a tour guide. 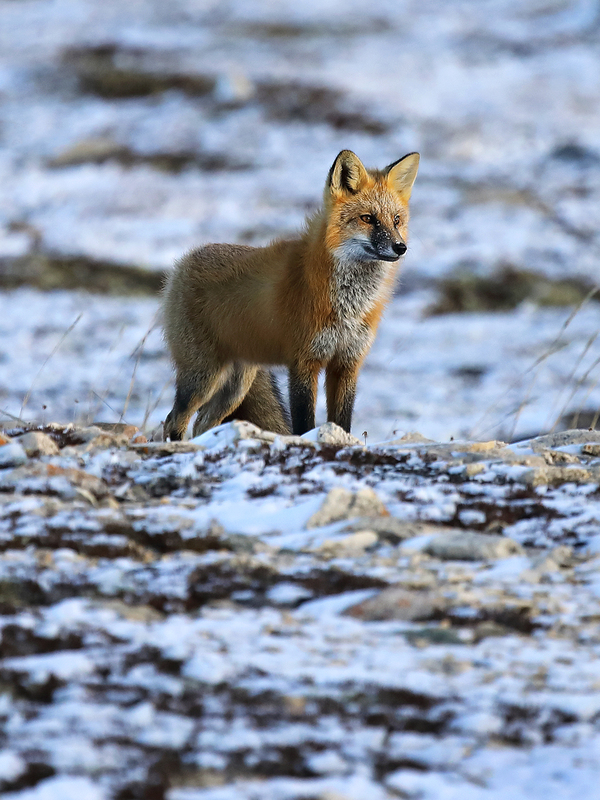 Later a red fox appeared beside us and cooperatively stopped to pose for a few seconds in the soft morning light. That afternoon we saw another polar bear off in the distance and found the mother and cubs again, but none of them came close to the buggy. At about 3pm we headed back to town. Marie and I had mixed emotions – we were thrilled by what we’d seen, but disappointed we didn’t get closer to a bear. It turns out we only needed to be patient. Just before noon on our tour the next day one of the other passengers spotted a distant white blob with his binoculars and asked the driver to take us in that direction. I used my camera to zoom in on the blob. “It’s just a rock,” I told Marie. The couple in front of us agreed. But as we approached the white blob it began to move. 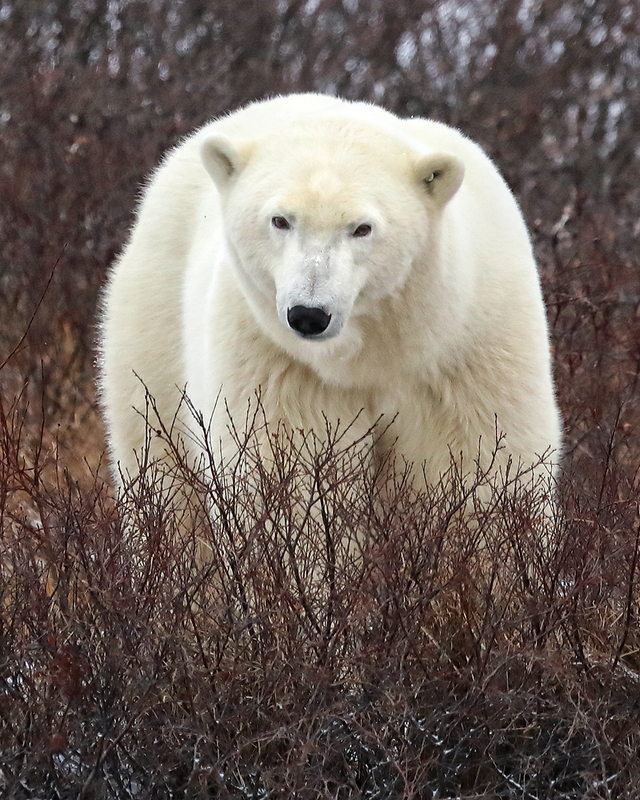 A polar bear, no more than 50 feet away! I stuck my head out the nearest window and had a nice clear view. Eventually the bear decided we’d crept too close. It walked across a frozen pond to put more space between us and then settled in for a short nap on a blanket of snow. Awesome. It would have been great to see even more bears, but we felt lucky to have experienced as much as we did. Getting home turned out to be an adventure of its own. Our flight back to Winnipeg – scheduled to leave Churchill that night – was cancelled due to a mechanical problem. We had visions of sleeping on a bench somewhere, but our hotel had a room for us, given that the flight cancellation also meant that some new guests wouldn’t be arriving. We made it to Winnipeg late the next afternoon and thought we’d be stuck there for the night, but a flight to Denver had been so heavily delayed that we were able to catch it. From there we connected to San Francisco and landed at midnight. Churchill was definitely worth the time and effort. With the benefit of hindsight, however, we would have planned the trip differently. It seems better to go later in the season when there are usually more bears. 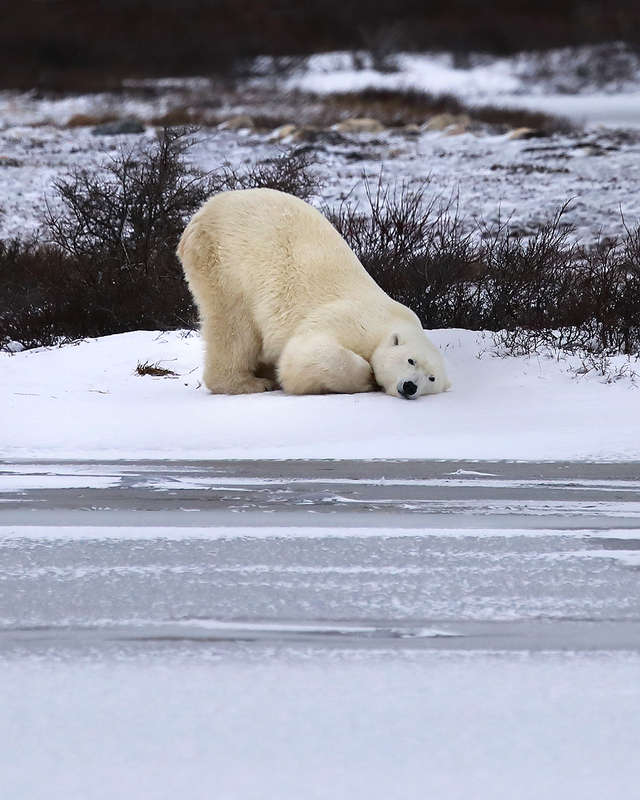 November 7th – 12th sounds like the goldilocks zone, late enough for more bears to have arrived but not so late that the bay is likely to have frozen over. And instead of doing two consecutive days on the tundra buggy we probably should have taken a day off in between, increasing the chances of getting good weather on one of the days and creating more of a buffer if flight problems had delayed our arrival. 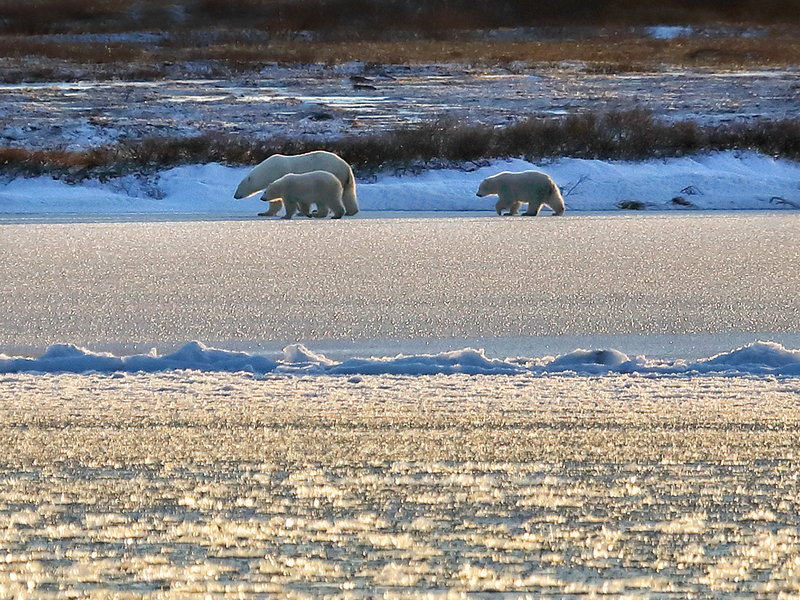 But wow – what a fascinating place, and how fun to see polar bears in their natural environment! Simply breathtaking!!! So good you had the patience and dedication to go that far and capture these moments! Was there almost a decade ago. Good to know that the bears still look healthy. 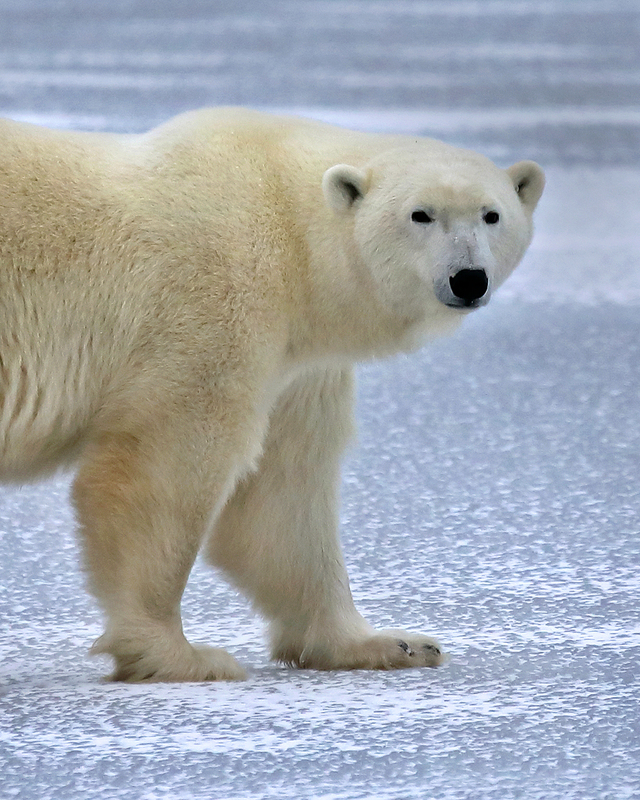 I was going to suggest latter in the season would enhance the chance the of seeing more bears (https://travel-gourmand.com/2017/01/31/lords-of-the-arctic-day-3/). But you’ve got fantastic shots! Great works!